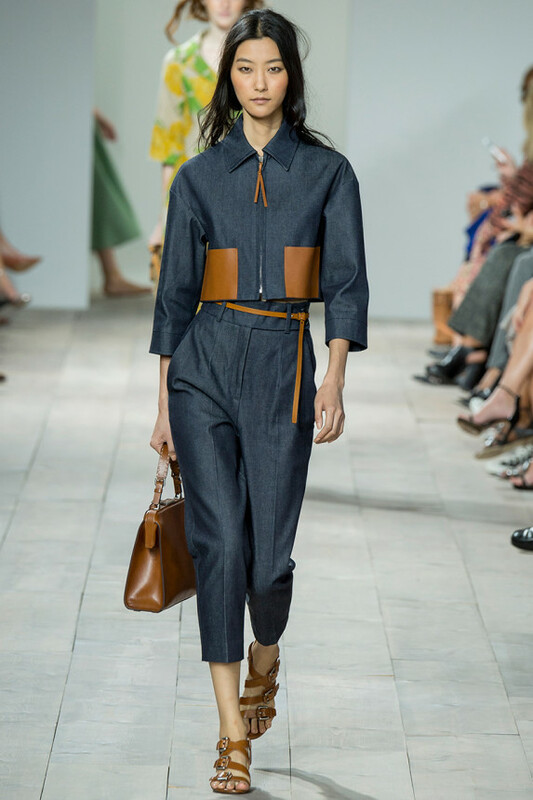 I absolutely adored the Michael Kors SS ’15 collection. 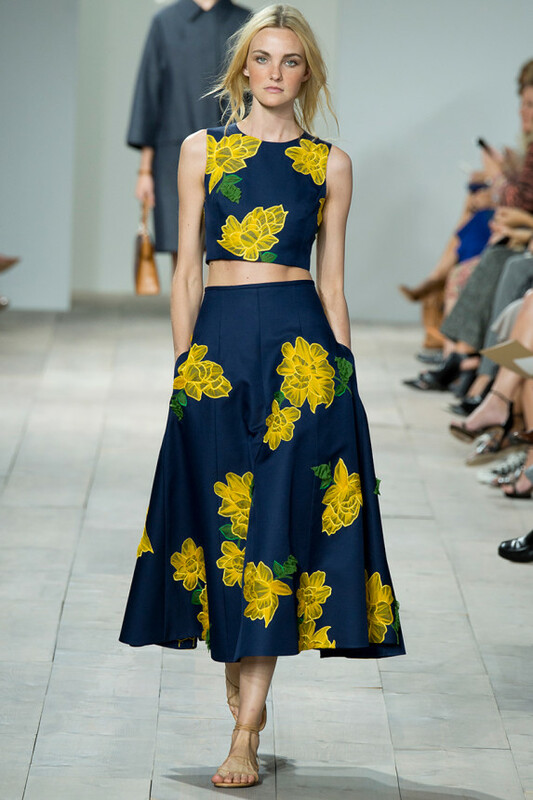 The full skirts were such a sophisticated, feminine piece that is seen throughout the collection. 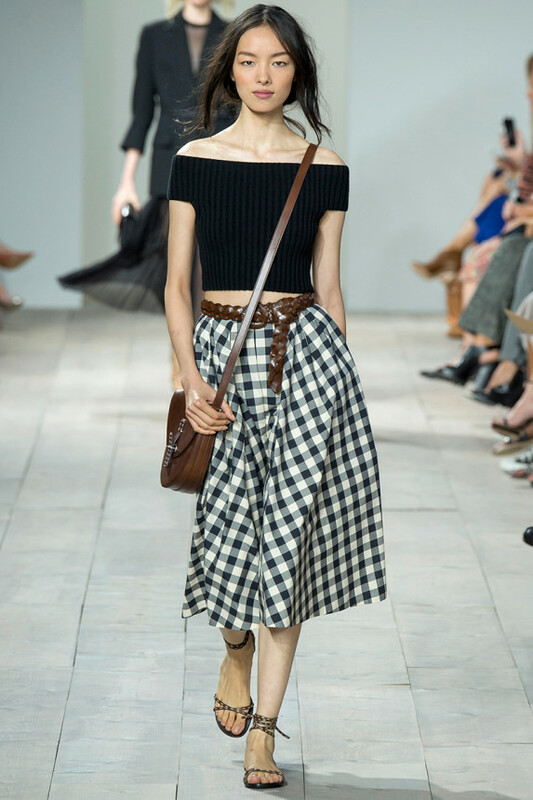 Light brown, leather handbags and flowered belts added a slight country touch. White oxfords with thick wrist shapes and gingham can be seen multiple times. 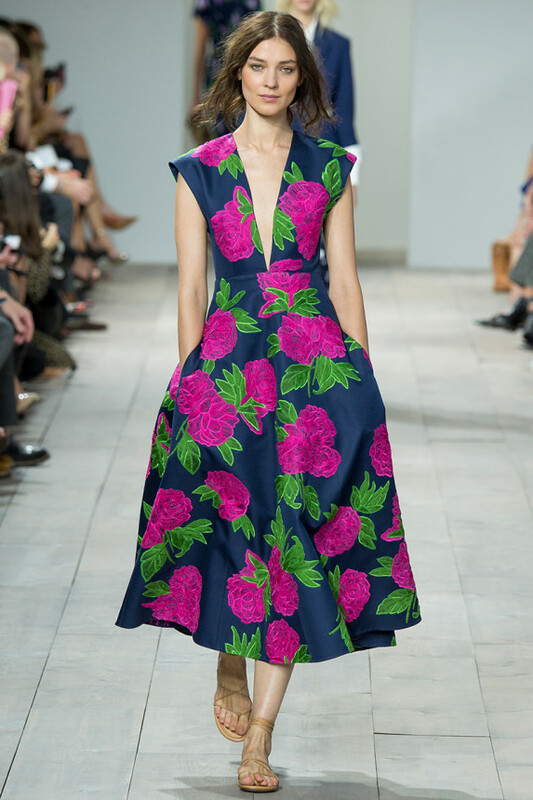 Darker florals in marigold, navy, and magenta can easily shift to A/W, giving them more possible wear time. Accented, sheer skirts glam up the ensemble. Go yachting with blue and white stripes, paired with hot pants. Grab coffee in a full-bodied sun dress. Nail that summertime look with a midi skirt and matching blazer. With Michael, there’s no doubt you are ready for your summer in the Hamptons.